Further information on City history can be found by contacting our City Historian Noel S. Levee at (518) 762-7419 or by visiting the official Fulton County website. ​William Johnson, born circa 1715 in the Kingdom of Ireland, moved to the Province of New York to establish a settlement on a large tract of undeveloped land, to be known as Warrensburgh, for his uncle, Admiral Peter Warren. Johnson was a trader who learned American Indian languages and culture, forming close relationships with many Native American Leaders. Because of his success, he was appointed as the Superintendent of Indian Affairs, as well as a Major General in the British forces during the French and Indian War. His alliances with the Iroquois were significant to the war. As a reward for his services, Johnson received large tracts of land in what are now Hamilton and Fulton counties. In 1760 the Mohawks of Canajoharie gave Johnson a tract of about 80,000 acres north of the Mohawk River. This was one of several large tracts of land that Johnson acquired from the Mohawk and Iroquois using his position as a royal Indian agent. By the time of his death, Johnson had accumulated about 170,000 acres and was one of the largest land owners in British America, surpassed only by the Penn and van Rennsalaer families. 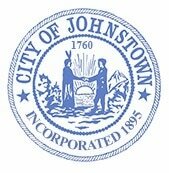 ​In 1760 Johnson founded the City of Johnstown on this grant – he named the new settlement, originally called John’s Town, after his son John. There, at Crown expense, he established a free school for both white and Mohawk children. As the area initially owned and settled by Johnson grew, he convinced the Governor, Lord William Tryon, to establish a new county in upstate New York west of Albany County. This new county was named Tryon, after the governor, and Johnstown was made the county seat. The county courthouse, built by Johnson in 1772, partly at his own expense, still stands today, as the oldest operating courthouse in New York. Sir William Johnson Presenting Medals to Chiefs of the Six Nations at Johnstown, N.Y., 1772, shows Sir William Johnson holding a Native American Conference at Johnson Hall Johnson Hall. Painting by Edward Lawson Henry, Albany Institute of History and Art 1993.44. In 1763 Sir William Johnson built Johnson Hall, where he lived until his death. He recruited numerous Irish immigrant tenant farmers for his extensive lands, and lived essentially as a feudal landlord. Johnson moved here from Old Fort Johnson in 1763 and lived here until he died in 1774 (before the American colonies declared their independence from Britain). The house was inherited by his son, John Johnson. In 1779, during the American Revolution, Johnson Hall was confiscated by the State of New York as Loyalist property and subsequently sold at auction (the Johnsons had fled to Canada as Loyalists). ​The house remained a private residence until 1906, when New York State acquired it as a historic site and was ultimately designated a National Historic Landmark in 1960. It is operated by New York State as an historic site, with regularly scheduled special events. For more information about the History of Johnson Hall and the events held there visit http://friendsofjohnsonhall.org/. ​Daniel Cady is today perhaps best known as the father of the prominent women’s rights activist Elizabeth Cady Stanton, who was born in Johnstown in 1815. Stanton, who later worked in partnership with Susan B. Anthony and served for many years as president of the National Woman Suffrage Association (NWSA), spent her childhood in Johnstown, where she studied at the Johnstown Academy. It was one of the first schools in New York to receive a teaching certificate issued by the newly formed state education system in the later 19th century. After leaving to continue her education in Troy, New York, Stanton returned to Johnstown with her husband Henry Brewster Stanton, a lawyer and abolitionist who studied law under her father, Daniel Cady. ​Johnstown, together with Seneca Falls, NY, where Elizabth Cady Stanton helped organize the first Women’s Rights Convention held in 1848, lays claim to being the birthplace of the Women’s Rights Movement in the United States. Stanton’s speech, The Declaration of Sentiments, given at the Seneca Falls convention and modeled on the “Declaration of Independence“, is generally credited with instigating the women’s suffrage movement in the United States. Although the majority of the fighting during the American Revolution raged elsewhere, Johnstown did see its share of fighting late in the war. With area residents not knowing of Cornwallis‘ defeat and surrender at the Battle of Yorktown in Virginia, about 1400 soldiers fought at the Battle of Johnstown, one of the last battles of the American Revolution, on October 25, 1781. The Continental forces, led by Col. Marinus Willett of Johnstown, ultimately put the British to flight. During that time, many British loyalists fled both Johnstown and the surrounding area for Canada, including Johnson’s surviving family. Sir William Johnson’s home suffered vandalism at the hands of Continental soldiers quartered there. After the American Revolution, Johnstown became part of Montgomery County when the name of Tryon County was changed to honor the Continental General Richard Montgomery, who died at the Battle of Quebec. All of the Johnson property was forfeited to the state because of the family’s Loyalist sentiments and support for the British cause. Sir William Johnson’s manor house and estate were subsequently purchased by Silas Talbot, a naval officer and hero of the American Revolution. Johnstown became a center for tanning of leather during the late 19th century. By the early 20th century Johnstown, along with neighboring Gloversville, became known as the glove-making capital of the world. Nicknamed the “Glove Cities”, the two cities are still called that today. Many fringe business once existed to support the glove and leather industries around Johnstown. Box manufacturers, thread dealers, sewing machine repairmen, chemical companies and many others made a living helping to supply and service the industry. Johnstown and Gloversville were home to numerous glove manufacturing companies and dozens of leather tanners and finishers. Thousands of people were employed by or affiliated with the glove and leather industries, making them a major part of the economic history of the two cities. Throughout most of the history of the glove industry in Johnstown, most companies used home workers to sew the gloves. Men cut the gloves from leather in factories and women hand sewed the gloves at home. Later when the sewing machine was developed, many women moved to the factories to work. Until the last years of the 20th century, home glove workers were still working in the area. The glove-making industry, together with its related businesses, had its ups and downs. It was directly affected by tax and tariff laws. The tanneries and glove shops flourished during World War II when most of the “Military Black” leather gloves worn by American servicemen were produced in Fulton County, New York. During the last half of the 20th century, however, the cities’ economies steadily declined as business was lost to low-wage manufacturing operations overseas. Today countries such as China and the Philippines produce most of the world’s gloves. Although the leather industry has declined, some local companies have survived by developing leather products suited to niche markets. The remaining businesses concentrate on one or two types of leather. They remain ready to adapt to changes in trends. There are still two tanneries operating in Johnstown and a few more in Gloversville. Another handful of state-of-the-art leather finishing facilities can be found there, as well as a dozen or so leather dealers. One of the early industries to establish itself in Johnstown was the Knox gelatine plant, built in 1890 by Charles Knox, a prominent Johnstown resident. Charles Knox developed the granulated, unflavored gelatin still used in food preparation today. When Knox died in 1908, his wife Rose Knox assumed management of the business. She became one of the earliest successful American businesswomen. The Knox family and its philanthropic foundation were generous to the city. Results of their philanthropy can still be found there today. They gave the city the block of land known as Knox Field, where the playgrounds, athletic fields, and bridle path are located. Knox Junior High School was named in honor of the family. The Knox Gelatin plant, once a major employer in Johnstown, closed in 1975 following the sale of the company to the Lipton Tea Company.